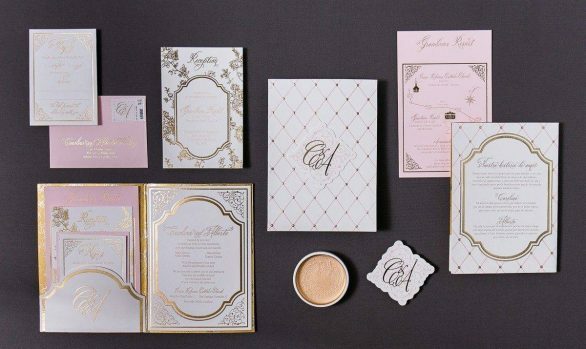 These Empire State Building wedding invitations were designed for the famous wedding designer, Preston Bailey, and his Grammy Award nominee husband, Theo Bleckmann. Preston Bailey wedding invitations were designed with minimal wording and with a Hitchcock movie poster as inspiration. 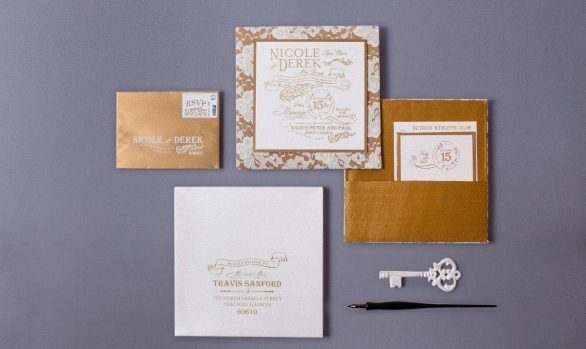 The laser cut wedding invitations were designed with a secret pocket behind the invitation and folds to a gatefold. The gatefold itself was laser cut with an art deco motif of the Empire State Building. 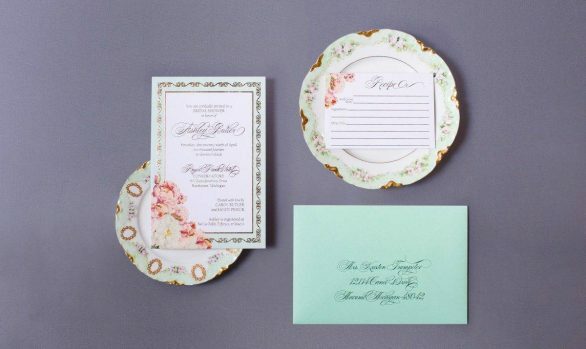 For the wedding I was honored to design laser cut thank you cards, place cards for the ceremony, amazing fabric embroidered wedding posters and waiter’s towel embroidered with each appetizer.